The University of Phoenix is a for-profit institution for higher learning. At its 170 physical campuses throughout the world, they offer more than 100 degree programs at associate, bachelor’s, master’s, and doctoral levels. The University of Phoenix has a diverse student population, but focuses on adult students who are in the work force. They currently boast over a quarter million graduates and a wide variety of degree and certificate programs. The University of Phoenix is a member of the North Central Association and regionally accredited by the Higher Learning Commission. The Association of Collegiate Business Schools and Programs accredits many of the business programs. 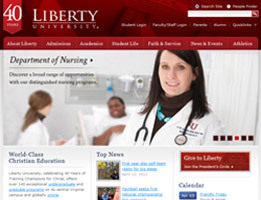 The Commission on Collegiate Nursing Education has awarded the nursing program with accreditation. The Teacher Education Accreditation Council pre-accredited the Master of Arts in Education program. You can be assured that the University of Phoenix meets quality standards set by the Department of Education. There are a variety of fields in which you can get an associate, bachelor’s, master’s, or doctoral degree in at the University of Phoenix. 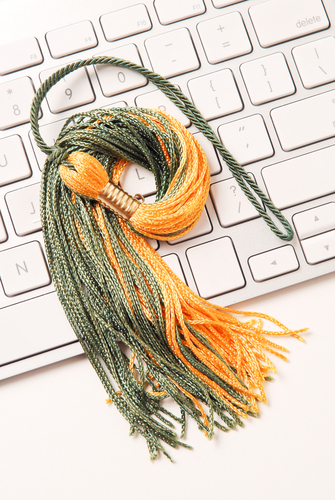 You can also get certificates in a wide array of areas, including undergraduate certificates in Project Management and Human Resource Management, a Graduate Human Resources Certificate, Graduate Marketing Certificate, and Graduate Accounting Certificate. You can also join the educational specialist program. This program helps you to gain leadership experience and specialize in instruction and curriculum. You can get bachelor’s, master’s, or doctoral degrees in many online programs in several fields. There are ten different areas from which you can get a degree. For example, in business, there are two doctoral degrees and many other degrees available. And, in administration, there are two doctoral, nine master’s, and eight bachelor’s degrees offered. There are also degrees in nursing, management, health care, education, psychology, marketing, information systems and technology and criminal justice. At the University of Phoenix, textbooks are included in the tuition costs. The costs are about average for the online education programs, but there are many federal financial aid options available including Stafford Loans, scholarships, and Pell Grants. If you served in the armed forces, there are even more special financial options available to you. 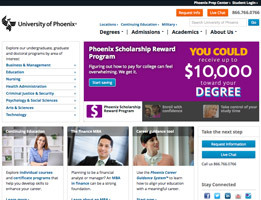 When it comes to online education, the University of Phoenix has so much to offer. Just some of the features you find there are flexible scheduling, several fields with online degree programs that are fully accredited, a collaborative learning environment, and tuition that includes textbooks. If you are looking to further your education while working full time or just looking for reasonably priced degree program, University of Phoenix is one of the best options available. Thank you for reading our University of Phoenix review. After having to withdraw from college five years ago, I have been doing nothing but work to pay off student loan debt. I accrued thousands upon thousands of dollars worth of debt and have nothing to show for it. It is nearly impossible to make enough money to pay that off without the degree that would let me get a high-paying job so I could earn enough to pay it off. I don’t need a degree to know what a catch-22 is! Taking classes online is affordable enough so I can keep making my loan repayments and also work towards earning the bachelor’s that I need to be a valued asset in today’s market. There was no way I could have afforded to return to state college. Online college is the perfect solution for me. I had always thought that college wasn’t for me. I was too intimidated to enroll right after high school. I was afraid that I wouldn’t even be accepted into college. After three years working dead-end, hourly-wage jobs in retail and the service industry, I knew I needed a degree. Online classes seemed like a reasonable alternative and I wasn’t as apprehensive as I was about four-year schools. I started last year by just taking two classes to get into the swing of things. After I got my feet wet and chose my major (accounting) I increased my workload. At this rate I will have a degree in six years, and I am even now considering transferring my credits to my local state college. I needed the bridge in my educational gap that online classes provided and now I am on my way to a bachelor’s degree. 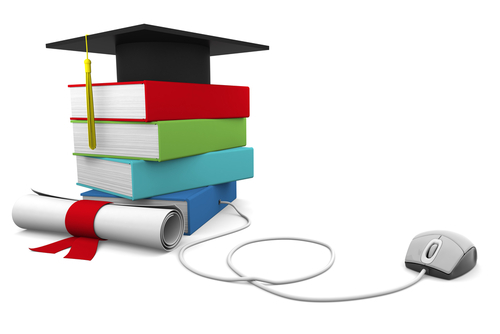 How Are Online Universities Different than Traditional Universities? 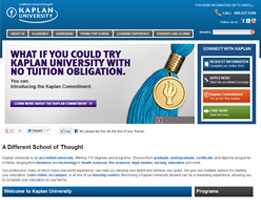 What should I look for in an online university? Why are Online Universities Becoming More and More Popular?